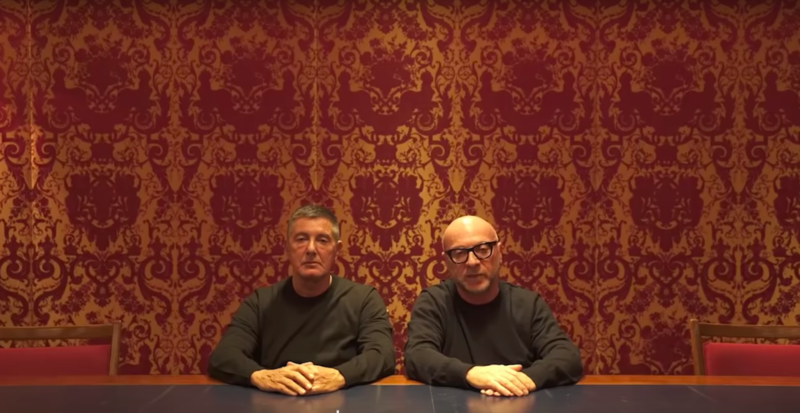 D&G founders Domenico Dolce and Stefano Gabbana apologise in a short video regarding the recent outrage over the brand's racist ad. Dolce & Gabbana’s co-founders issued an apology yesterday in an effort to stop the escalating backlash against its label after a social media ad campaign soured. In a seemingly rehearsed response, founders Domenico Dolce and Stefano Gabbana expressed their love for Chinese culture. “Our families have always taught us to respect the various cultures of the world, and for this, we want to apologise if we have made mistakes in interpreting your culture. We have always loved China; we have visited many cities… and certainly we still have much to learn,” Dolce said. The fiasco intensified when instagram DMs that appeared to be from Gabbana were leaked. Diet Prada, the social media watchdog of the fashion industry, posted screenshots of an exchange between Gabbana and model Michaela Tranova. 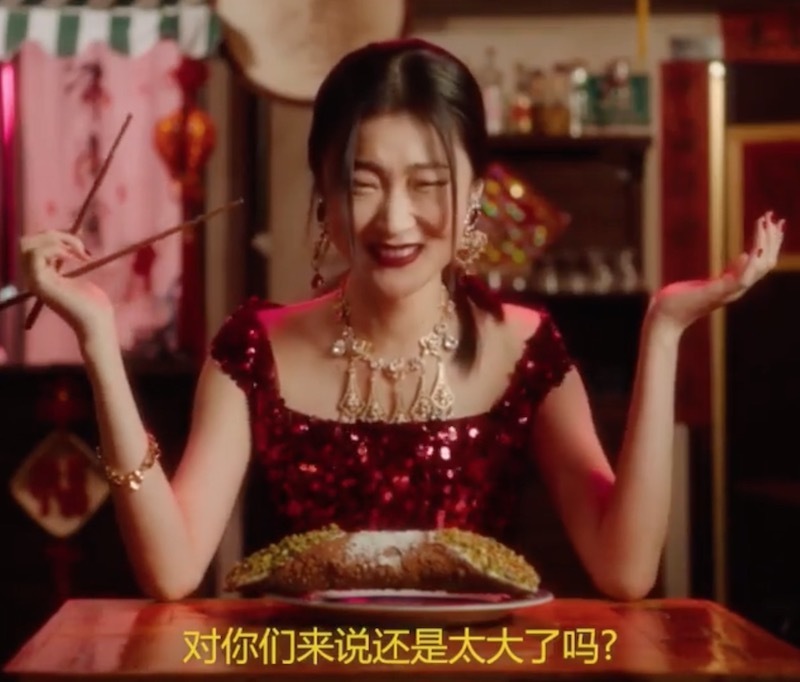 The leaked comments appeared to show Gabbana describing China as a “country of sh*t”, and insinuating that Tranova herself is racist for “eating dogs”. D&G have since deleted the Instagram ads and claimed that both its official instagram account, as well as Gabbana’s, were hacked. However, the damage was done. a) Be deserted by Chinese celebrities (including Crouching Tiger, Hidden Dragon’s Zhang Ziyi) and models slated to walk the show. b) Get its label storefronts plastered with ‘Not Me’, mocking Gabbana’s response to the leaked comments he denied. c) Get its products removed from Net-a-Porter, the luxury e-tailer headquartered in London and owned by Richemont. d) Get brand ambassadors axed their contract with D&G. Protestors were also spotted at the brand’s flagship shops in Milan. The apology and hacking excuse, unfortunately, gained almost no traction because of Gabbana’s history of offending others. Business of Fashion noted that the two founders have made numerous appalling statements including referring to babies conceived in vitro fertilisation as ‘synthetic’, calling Selena Gomez ‘ugly’ and describing gladiator sandals as ‘slave sandals’. With a brand so impervious to controversies, the designers have been accused of just crying wolf. From one PR disaster to another: What do local PR practitioners say? Needless to say, D&G is experiencing the worst branding crisis in the world’s largest luxury market. Not only the founders over-stepped their mark, they have managed to cause long-term damage to the brand. We asked three local PR practitioners what they thought about the brouhaha and how this situation could have been handled. “In the first place, they should’ve been more sensitive with the reactions of the citizens of China towards the ads. If the brand claims it wants to show its love for China, wouldn’t it be more genuine to post a simple video of the designers sending their love to China to create bigger anticipation for their show? The same move can also be used to counter the negative reactions to the ‘chopstick ads’.